Our Higurashi translator, Gary, would like to share a few words with you today! One of the unique things about Higurashi. The late 70’s/early 80’s time frame is something we don’t see too often in fiction outside of works actually produced during that time frame. It’s too late for Vietnam and the height of the Cold War, but slightly too early for the a lot of the cartoons and TV shows that people typically relate with the 80’s. 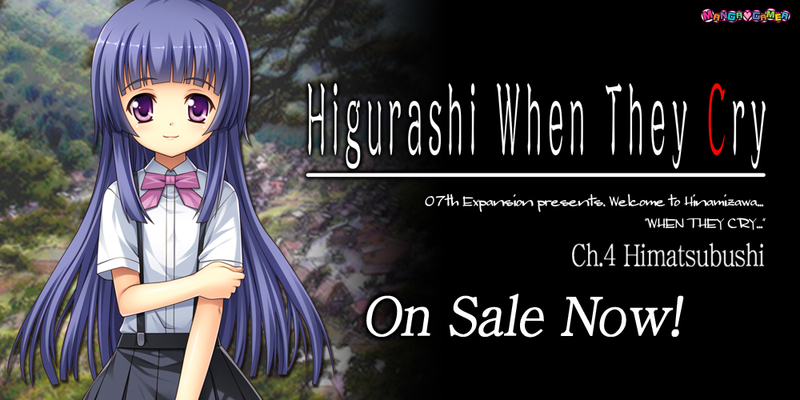 As a result, Higurashi can fall into a kind of ‘uncanny valley’ in terms of technology and culture for many players. To give a better idea of what the actual cultural landscape was like in Japan at a certain point in time, you can usually look at the popular series that were produced during that time period. However the majority of the famous works that we know today were influenced by the Sci-Fi boom triggered by the release of the Star Wars in 1977, so it’s actually really hard to find a good contemporary piece. The earlier chapters manage to mask a lot of this by primarily being in a rural setting from the children’s points of view. But that changes with the narrative shift to Akasaka’s point of view and the scenes taking place during the night in Okinomiya. There’s some obviously dated references that I had to look up like Telephone Clubs (which surprisingly still exist, albeit in slightly different forms apparently). Speaking of telephones, this is probably where some of the technological disconnect may come into play with some of the people playing Higurashi. With cell phones having become ubiquitous over the last 20 years, some players in their early 20s may not be able to relate to having to find a payphone, and most certainly wouldn’t have had to deal with a world before touch-tone dialing and the nuances with phones that brings. Basically, working on this game just made me feel ancient. Tagged 07th Expansion, Higurashi, Himatsubushi. Ok, but why there three Rikas on the page? Is it some mystery to solve? Or may be a hint? For what? When is the Answer Arc coming out? I can’t wait.